It was hypothesised that participants would conform when there was large amounts of group pressure. Across a series of 18 trials, individual participants, amidst a group of confederates, were made to hear the wrong answer from the confederates in terms of which line was equal in length to the ‘comparison line’ even when the ‘comparison line’ was clearly a different length. Students complete a discussion section of an ERA, including data analysis, generalisations and a conclusion based on a case study of Asch’s Conformity Experiment. Students have 50 minutes to complete the task under exam conditions. Students have finished social cognition, the influence of social power within groups and is starting conformity (Asch). Purpose The purpose of this summative assessment task is to assess students’ ability to interpret data, draw conclusions consistent with evidence and discuss the implications of the research findings. 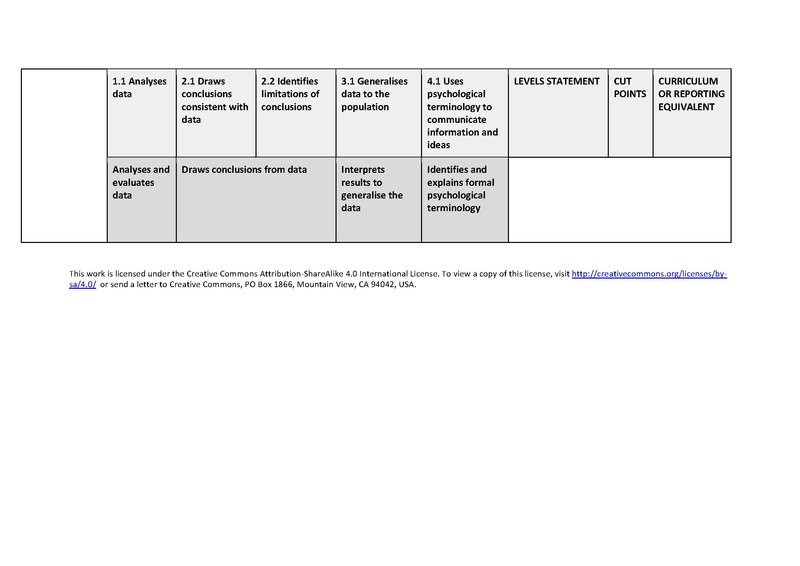 The summative assessment task is appropriate, measuring key science skills that permeate through Units 1-4 Psychology, and adequate, providing the teacher with enough information to make conclusions about student understanding of data interpretation and analysis. Administer The task was administered under exam conditions, in one 50 minute period, building accuracy. Students worked individually and had no access to resources while completing the task, to ensure authentic assessment. Record This assessment task was marked using a rubric, and students marks were kept in the teacher’s mark book. Written feedback was also provided for student improvement. Marks were also recorded electronically (via Compass), and made accessible to both students and parents. Interpret The mark from this task was interpreted as one third of the grade for this topic. Grades ranged from A to E as outlined by the Science Faculty as the school. The combination of these three marks would determine whether students received an S or an N for Outcome 2 of Psychology (Unit 2, Area of Study 2). Use This mark for this task was used as one of three tasks to determine whether students would receive an S or an N for Outcome 2 of Psychology (Unit 2, Area of Study 2). However, students received a letter grade when the task was returned. The task was used to give feedback to students of their understanding of their ability to interpret and analyse data. 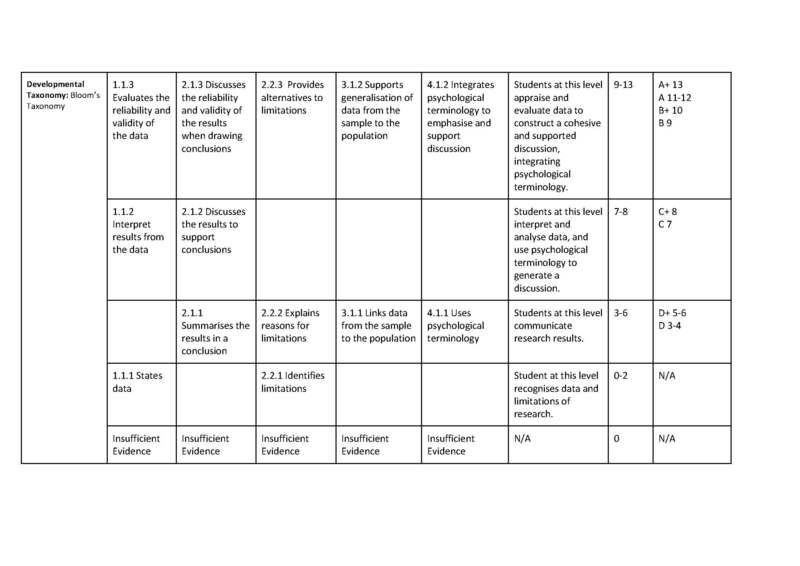 The task was also used to provide valuable feedback to the teacher to inform future teaching (particularly for scaffolding an Evaluation of Research – a pertinent skill of Units 1-4 Psychology).